With tax season in full swing, lists of “What records to keep at tax time” or “How long to keep my tax records” are always plentiful on financial and lifestyle blogs and websites. 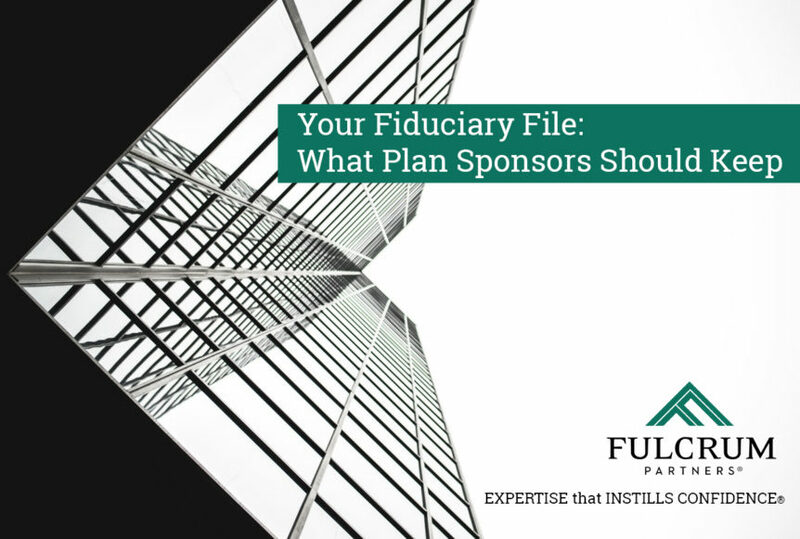 But last week, the Strategic Retirement Partners blog published a helpful checklist that deals specifically with which records to keep (and for how long) in a Fiduciary File. This checklist for keeping and organizing Plan Records is helpful for Plan Sponsors, not just at tax time, but throughout the year. We are pleased to share this update from our friends at Strategic Retirement Partners, SRP, with you. Administrative for all audit results, contribution records, Fiduciary Plan Review meeting minutes, fee benchmarkings, participant complaints. Participant Communication containing copies of enrollment materials, communications and memos, and meeting sign-in sheets. 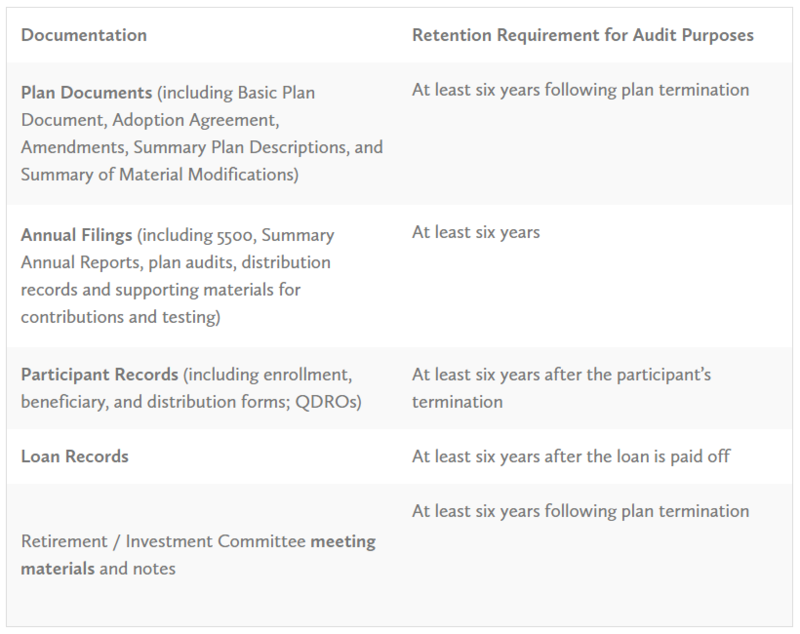 If a participant, auditor, or DOL agent requested plan information, could you find it quickly? The key is twofold: keep the things you need and store them so you can find them easily.